For the first time, the recently launched PORTMAP is shown to public on Microsoft Indonesia’s National Innovation Day 2008. We are given a space/booth to show PORTMAP screen cast and demonstrate it. Although PORTMAP is not a mass product, in other word it is a specific product for port business, there are many visitor those are willing what it is, how it looks like, and how it works. Some of them ask for possibility to cooperate in order to market PORTMAP. There is also an awarding for several categories including Micro ISV, most consistent ISV, most consistent Microsoft Innovation Center (MIC), etc. 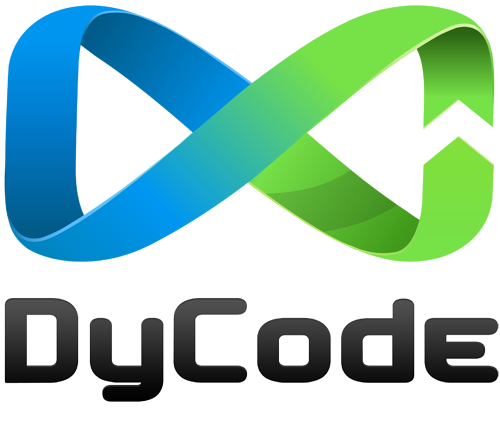 If we recall, DyCode was winners of Micro ISV and IT Startup for National Innovation Day 2007 last year. Some photos taken during the event. It is the first time we use shirt uniform for an event. On the right side, he is not a DyCoders though, he is Rudy Setyo, the founder of erudeye.net (a well-known Windows-based Hosting in Indonesia). The launching of Port Management Portal (PORTMAP) that is held on November 26, 2008 at Vienna Resto & Lounge, has been covered by several mass media, both on printed and online version. Here are the scanned/captured result and the links (for online version). Thanks to all media fellows who make it happen. Special thanks to journalist fellows who have attended the launching event. In this November rain session, it is not the "rainy" days for DyCode. Instead, it is the happiest moment ever because a historical moment is about to happen on Wednesday, November 26, 2008. That day is the day that has been waited for the last 1.5 years. That day is recorded on DyCode’s history as the first time DyCode ever launches a product. After the last six tireless months, DyCode finally finish the development and ready to launch a product called Port Management Portal (PORTMAP). After more than two weeks of preparation, PORTMAP launching event is finally taken place. Taken place on Vienna Resto & Lounge, Bandung, PORTMAP is launched for the first time to public. The place was selected so that it gives a casual and cozy atmosphere for the event to happen. The event is attended by more than 50 attendees, some journalists of well-known mass media, SENADA representatives, Microsoft Indonesia representatives, government officials, Batam Port Authority officials, Telkom R&D Center representatives, MUGI Bandung, students and lectures of several universities in Bandung, ISVs in Bandung, and other DyCode’s invitation. Started with the introduction to DyCode, followed by a speech from SENADA by Hery Kameswara, Grant Technical Advisor, and also speech from Microsoft Indonesia by Satria Sukardja, ISV Partner Acccount Manager. The main agenda is the launching of PORTMAP, followed by introduction and demo of PORTMAP by Andri Yadi, President Director and CEO of DyCode, and Iman Harmaen, GM Tech. Dept. of DyCode. The agenda is closed by Q&A and press conference. Taken place for more or less 3 hours, the event is successfully finished around 1.00 PM. The agenda and place details are following. For some folks who haven’t been familiar about PORTMAP, PORTMAP is an integrated maritime port management solution. That product is developed by thinking of beloved country, Indonesia, as the largest archipelagic and maritime country in the world. With the total 1,735 all kind of ports in Indonesia, those ports are mostly still poorly managed, especially when we are talking about port management by using computer-based system. DyCode come up with idea to develop a generic and mature product, that hopefully will give some contributions for better port management in Indonesia. As far as we know, PORTMAP is the first and the only known product in Indonesia that is mainly targeted for port management solution. As several similar products are available outside Indonesia and developed by foreign companies, PORTMAP is the only known product that is originally developed by Indonesian software vendor and Indonesian young developers. Next version of the previous PORTMAP. Internally, DyCode used version 2.0 for this launched PORTMAP. Developed from scratch. To avoid any possible unintended problems in the future, DyCode decided to write PORTMAP code from scratch while still implementing the best practices of port management business logics acquired from many references. Developed as the implementation of the idea that is submitted to iMULAi competition. To visualize what happens during the event, these are some photos.